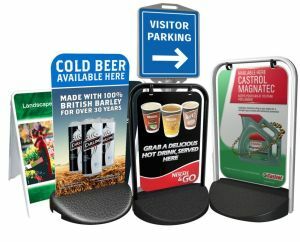 MSP-Signs.co.uk provides all range of pavement signs, swing signs, sandwich boards, Ecoflex signs and A-frames for exhibition and retail use. Our Pavement signs are available as frame only or we can supply all artwork graphics / posters for you. 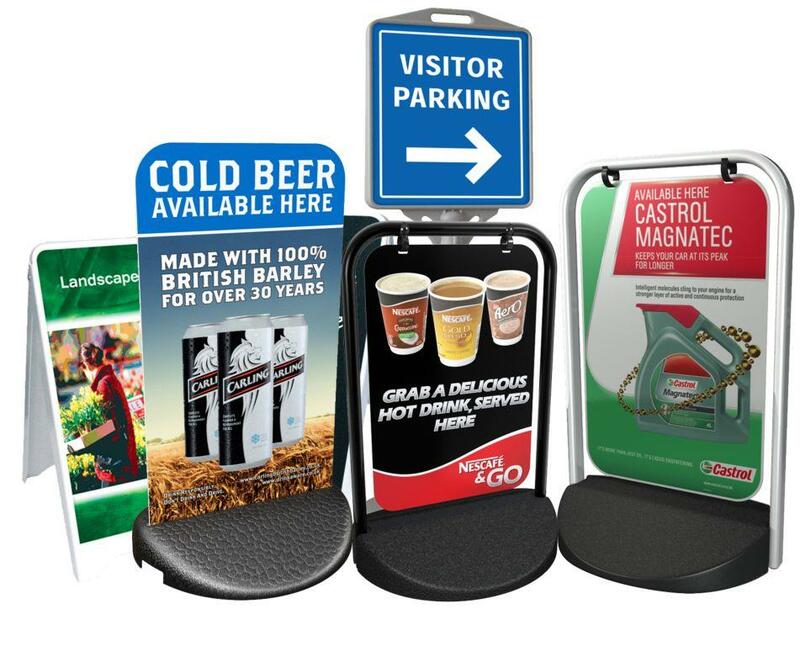 The pavement signs are ideal for advertising new products, special offers and other point of sale applications. Most types of A-frames signage are held in stock for Immediate Despatch. Select the pavement stand. Choose you variant and if necessary write a design note. Please note! If you would like to order more Pavement signs o A-Boards then three, please contact us on sales@msp-signs.co.uk or call us on 0845 116 2548 to get a better deal.